Our third week of trying to spend less while eating more healthily during February included the joys of half term. We didn’t go away for a holiday, but took the chance to go on assorted outings, visit places we don’t normally visit and catch up with family and friends. On the food front, this mainly involved a whole succession of picnics. February’s weather is not really conducive to a pastoral idyll involving picnic blankets and dappled sunshine. Instead, we avoided frostbite by scoffing sandwiches in the car park outside the cinema, wraps on the bus on the way to the cinema, puff pastry tart sitting in the car at Audley End and bagels in the picnic room at the Museum of Childhood. Turns out frugal family togetherness involves doling out multipack crisps and peeling satsumas from the front seat of a car. 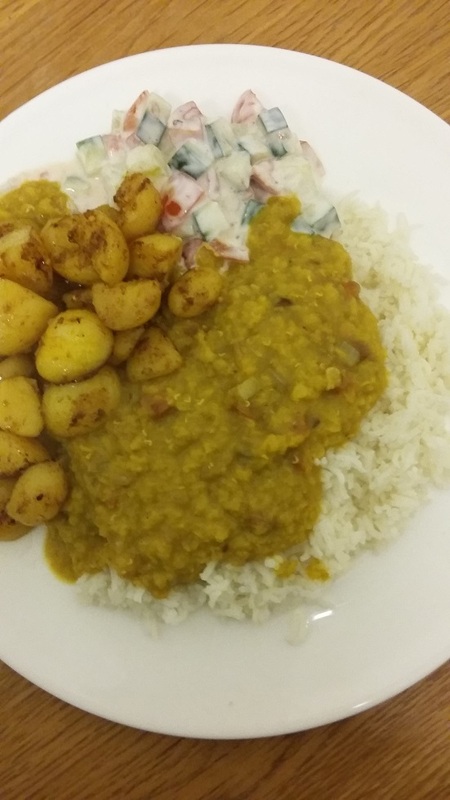 I also managed to work our way through almost all the meals I’d planned for this week, as posted here.The only two we haven’t got round to yet are the frankfurters and mash, and the chicken curry, although I went for a veggie alternative instead, with my first attempts at dahl and bombay potatoes. One of the side effects of half term was that I didn’t spend long in supermarkets. 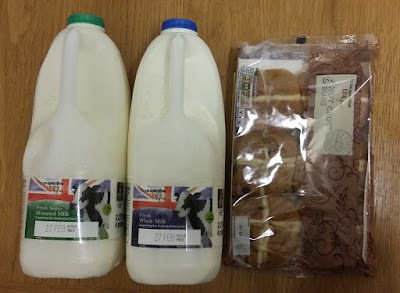 I couldn’t nip into the Co-op as part of the school run, and my children are not entirely convinced that a “trip to the supermarket” counts as a half term highlight. 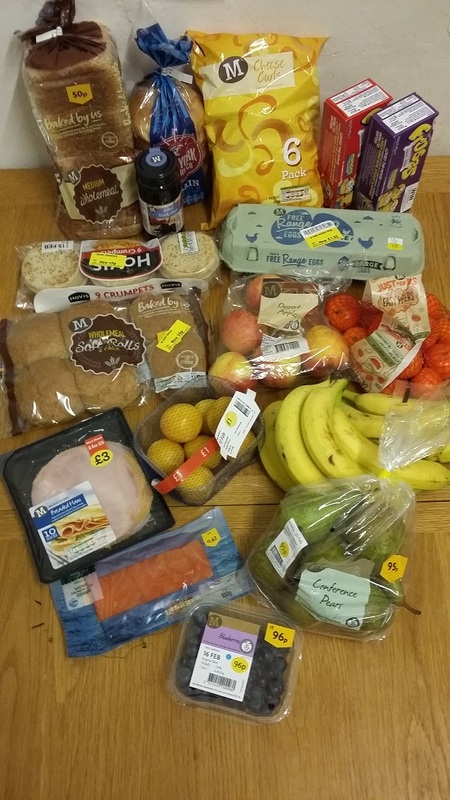 Instead I did one larger shop at Morrisons when the car was handy (£18.02). I also gave my husband a shopping list when he stopped at Sainsbury’s for petrol (£10.64), and made a couple of lightning raids when we finished essentials like porridge oats and milk (£1.75 for oats on offer, £2.67 for milk and reduced hot cross buns and £3.31 for sardines and cut price bread and sausages). When I took the children on a day trip to London, I took a trusty picnic to keep costs low, but forgot to bring a bottle of water (kerching, £1.20 for a replacement at the station). I also bought a packet of chocolate chip cookies to ensure peace on the bus (a bargain at £1). In the end, our total food shopping this week came to £38.59. After looking through our cupboards, fridge and freezer, here’s the summary of what we’ve bought and what’s left so far during February. averages out just over £45 a week. Of that, we’ve actually eaten around £38 worth a week in addition to the food we already had in the house. Here’s the progress on the abandoned ingredients I was keen to use up. 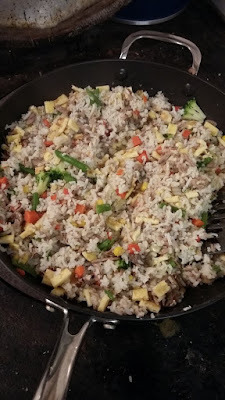 This week I finally used some of the lingering rice and the tin of potatoes, as highlighted in red. 8. an abandoned cut price celeriac, bought with the best of intentions Used as smashed celeriac to accompany roasted red peppers with feta and cherry tomatoes, as blogged here. If I thought the kitchen looked sparse half way through February, it all seems even emptier now. I’m determined to use up both some of stash in the storecupboards, and food already bought this month. Meal planning from the contents of my cupboards at the start of the third week (post here) definitely helped make the most of the food we already had, so I’ve jotted down some ideas to finish February. – Stir fry with cashews or pistachios and noodles, raiding the top shelves of my kitchen cupboards. I do also have some long-frozen chicken pieces and Quorn chicken in the freezer, which could be converted into some kind of curry or stew. I’ve got assorted leftovers that could do for lunch, whether the remains of the dahl with rice, the solitary remaining carrot, cumin and kidney bean burger in a brown roll, a couple of portions of winter veg soup, and the final couple of Quorn sausages. 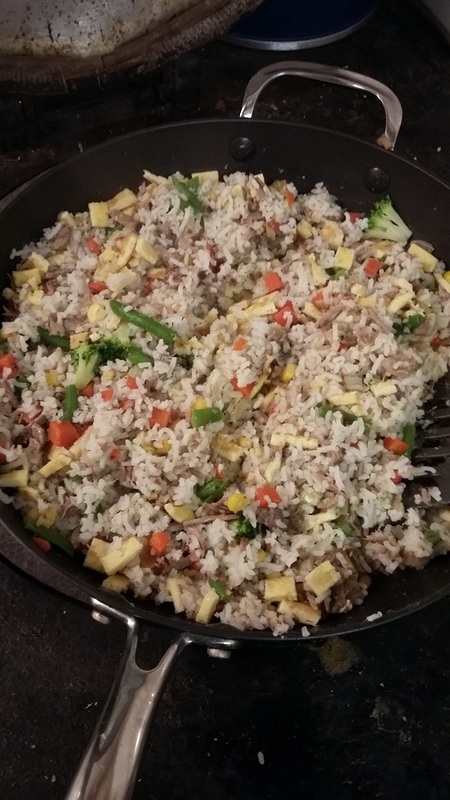 Most of the main meals should yield some leftovers that my husband can take into work the next day as his packed lunches. There’s nothing like running down the contents of your kitchen to make you look forward to buying more fresh food! Any top tips on clearing kitchen cupboards and cutting food bills? Previous Post Is Degustabox good value? 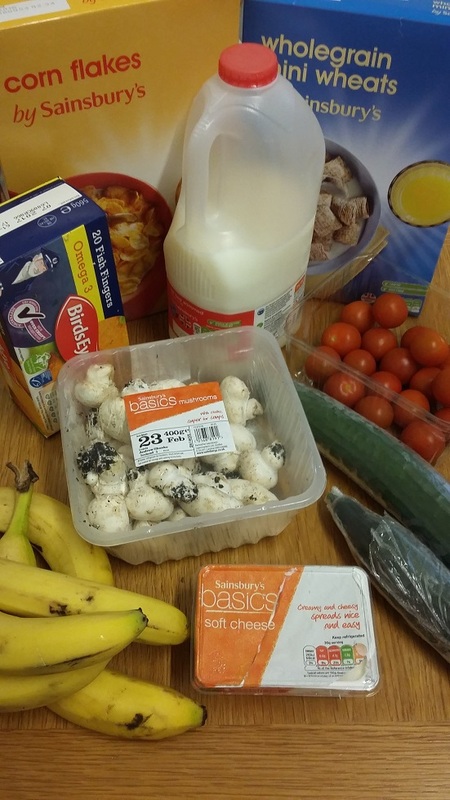 When we do the supermarket shopping (we buy milk and eggs from a local shop) we include things other than food, such as shampoo, toothpaste, cleaning products, foil, etc. Do you remove these from your food shopping bills in your postings, or do you simply buy all your 'other items' elsewhere? I remove the cost of cleaning products / toiletries / magazines / cards /wrapping paper / hamster supplies etc when calculating our food shopping bills. When I buy them from the supermarket, they're normally on the same receipt but I split out the cost in my spending diary spreadsheet. In the months when I've been blogging specifically about food spending and posting photos of receipts, I actually pay for any non-food stuff seperately. Wait until your children are around the 15 year old stage – they can eat a whole fridge full in a half term!! Ha ha Sue. My twin girls are nearly 13 and I have just realised how true this is! I used to budget carefully and plan meals from leftovers etc. I still do this, but it is so difficult as all plans go out of the window when there is nothing left. They are bottomless pits at this age! 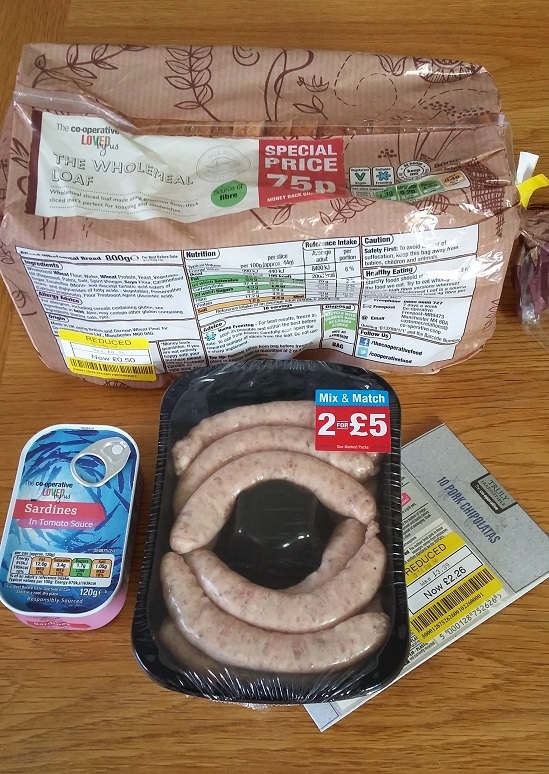 Hi Sue in Suffolk and Donna – Yes tracking my food spending during half term made me realise I'm lucky my two are young, at 6 and 8, so they don't yet eat enormous quantities. The joys to come! 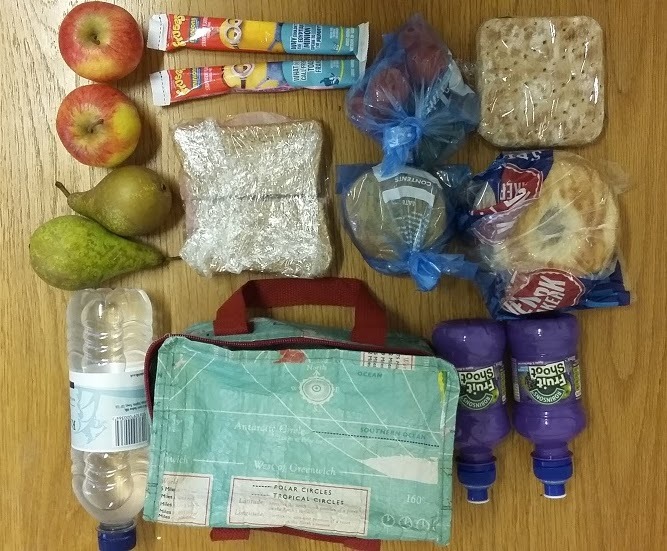 The picnics all sound really good, even if they were eaten in the car, soon it will be warmer and 'proper' picnics will be back on the agenda, you can't beat spreading everything out on a blanket and relaxing with a good book … or electronic gadgets for the girls. Definitely looking forward to warmer weather for picnics, although we did get out yesterday for a wonderful walk from Polstead, with sunshine and a brilliant blue sky. Went for the walk after an early lunch though, rather than risk getting too cold.